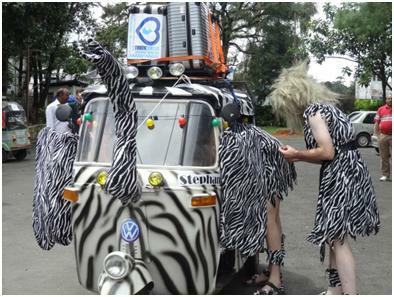 Whilst most teams have put in a sterling effort pimping their tuk tuks the Germans naturally have taken it a step further, with a higher level of German engineering, dedication and excellence. At their finger touch they have access to any number of horns including everything from a hundred sheep bleeting, police sirens to the ear shattering fog horn of an ocean going oil tanker. The speaker system is capable of emitting volumes at ear splitting decibels that can be heard in Calcutta regardless of where they are in the country. Arriving in India… Rickshaw Run!